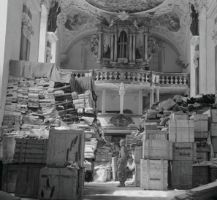 Twenty Years Ago The World Made An Agreement On Nazi-Looted Art. How’s It Working? Twenty years on, that timetable has proved much too optimistic. Nazi-looted art is still regularly restituted: high-profile cases in the past year include an Oskar Kokoschka portrait returned to the heirs of the German-Jewish dealer Alfred Flechtheim by Sweden’s Moderna Museet (and sold for a record $20.4m on 12 November at Sotheby’s in New York). Many families are still seeking pictures stolen from their forefathers in what has been called the greatest art heist of all time.